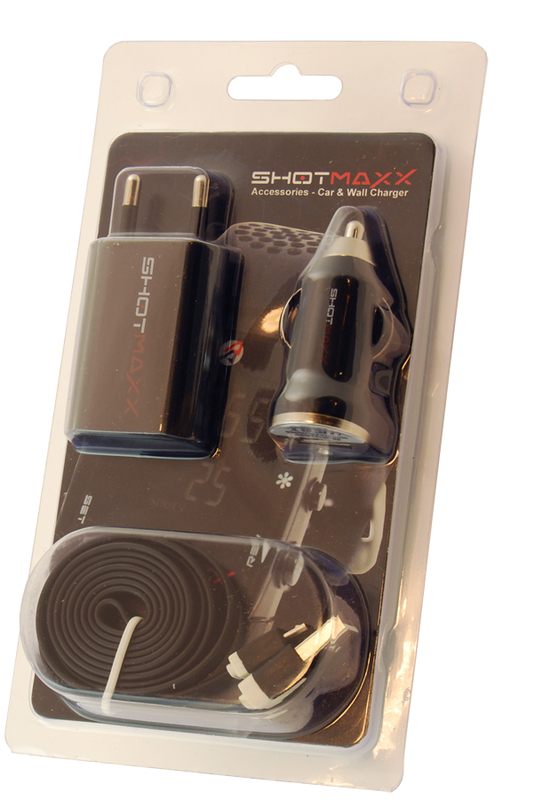 The SHOTMAXX 2 Power Pack offers a comprehensive solution to your SHOTMAXX 2 echarging needs. 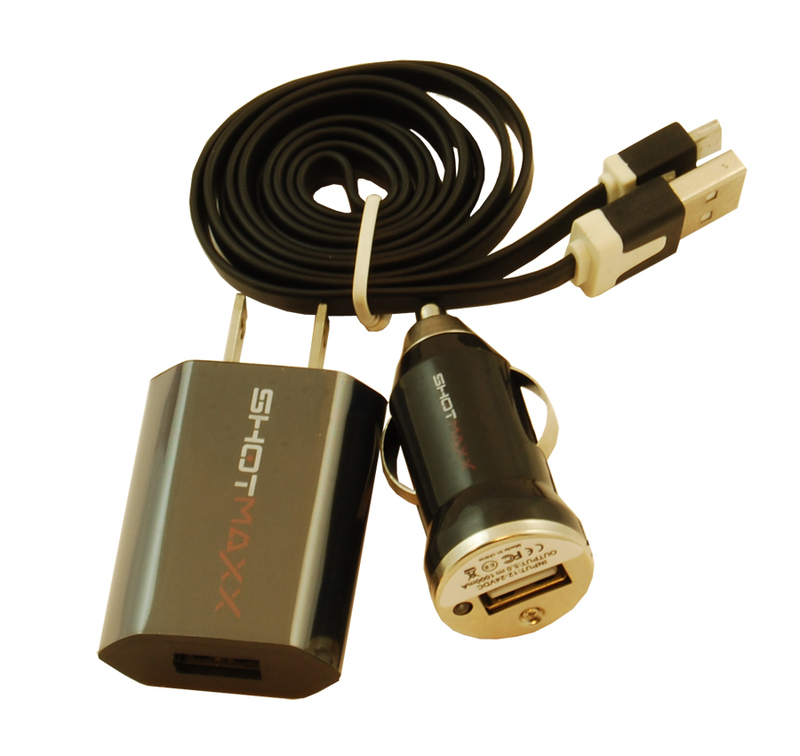 It includes a compact size wall outlet USB power adaptor and a 12v to USB car charger. In addition, a long data/charge USB to Micro USB cable is included. The charges are supplied in a smart looking glossy black finish with the red and white SHOTMAX logo screen printed. These top quality chargers are CE approved and comply with EEC RoHS requirements. Two versions of the kit are on offer – one with the EU prongs and one with the US prongs.